Laser World of Photonics is all about bringing industry and research together to encourage the growth of both sectors. After all, “for photonics companies, it is essential to be where research and industry converge and where trends are born,” said Dr. Wilhelm G. Kaenders, CEO of Toptica Photonics AG and chairman of the technical advisory board for Laser World of Photonics. 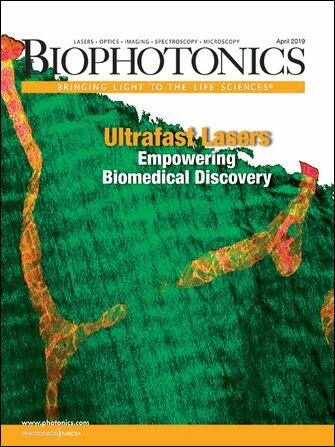 Biophotonics technologies and applications will be highlighted at this year’s Laser World of Photonics trade fair. The biannual show works to bring industry and research together and to spark growth in both sectors. Courtesy of Messe München GmbH. The biannual trade show is organized by Messe München GmbH and will be held May 23 to 26 at the New Munich Trade Fair Centre; it offers a comprehensive and targeted look at the global market for lasers, optics and photonics, with events dedicated to the research, innovative technology and industrial application sectors as well as to products and components. It is no secret that optical technologies have profoundly affected the medical and life sciences fields, and biophotonics will be a huge part of this year’s show, along with lasers and laser systems for production engineering, green photonics and technologies related to security. Biophotonics will be the focus of an entire series in “Application Panels – Lasers and Photonics in Actual Practice,” which comprises special lectures offered as part of the World of Photonics Congress. These discussions are designed to impart knowledge based on actual practice and a concrete orientation to applications and to encourage a direct exchange of ideas and inspiration. The application panel titled “Lasers for Analytical Bioinstrumentation and Bioimaging” will examine lasers as an enabling technology for various biomedical applications, including clinical diagnostics, biomedical research and drug development. DNA sequencers, microarray readers, flow cytometers and more depend on lasers, as do optical imaging techniques such as optical coherence tomography and laser scanning confocal microscopy. In this panel, experts will review the most recent technological advances and explain how those advances will affect biomedical applications. In “Biophotonic & Life Sciences, Diagnostic and Therapy in Medicine,” experts will provide users and developers with a forum for implementing new medical technologies. For diagnostics, participants will learn about medical deep-scan micros- copy, laser-induced x-ray radiation for phase-contrast soft-tissue imaging, and endoscopic applications for high-resolution imaging of tissue morphology. For laser therapy, the experts will discuss the use of nuclear magnetic resonance monitoring for thermal laser intervention, ultrashort laser pulses that produce secondary radiation for oncology radiation therapy, and future aspects of laser-based endoscopic surgical techniques through natural body openings. Two other panels, “Visions for Future Diagnostics – Oncology” and “Visions for Future Diagnostics – Infectious Diseases,” will explain how to overcome the barriers between technology/technique developers and biomedical end users. These panels will bring end users and technology developers together to address the lack of communication between industry and scientific disciplines that hinders the transfer of scientific knowledge into new or better components and subsystems. Panelists will identify unmet medical needs and break those down from systems to photonic components such as detectors, filters and lasers. Some of the discussions will be conducted in German, some in English. The speakers will be available in the Speakers’ Corner for questions after the series is over. Admission to the application panels is included with Laser World of Photonics tickets. Taxis drop off and pick up attendees at Laser World of Photonics 2009. Photonics Media Photo by Melinda Rose. Other on-site events include a roundtable discussion with selected CEOs, a special show on photonics for manufacturing, an exhibit showcasing new companies from Germany, business- and education-oriented events and a career center.